CTET Admit Card 2019 – CBSE is releasing admit card of CTET for 7 July 2019 exam in the month of June. Usually CTET Admit Card is issued 3-4 weeks before exam. 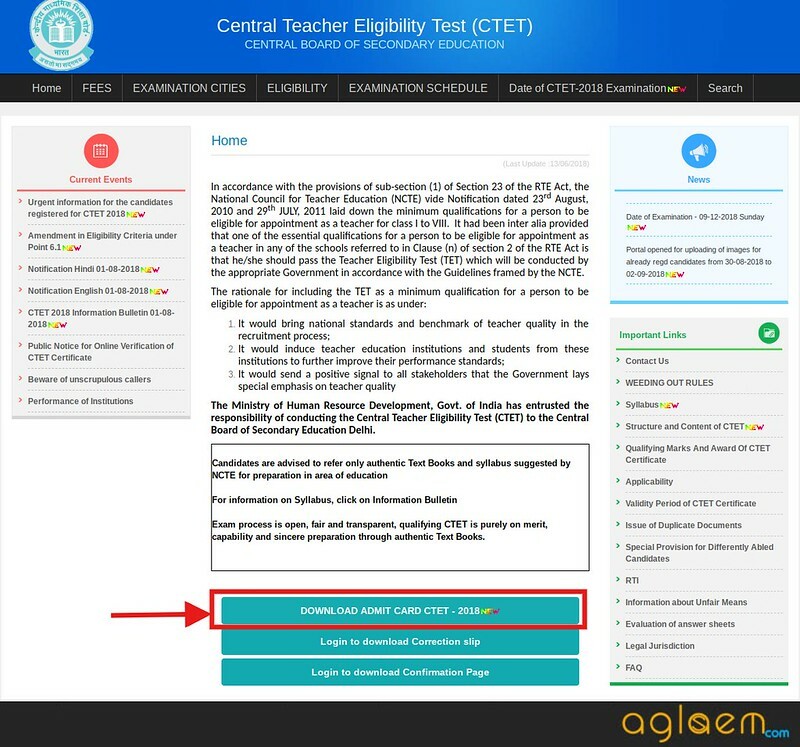 Candidates who applied for Central Teacher Eligibility Test can download hall ticket from ctet.nic.in. Get download link on this page below. Login with application number and password. In case of any discrepancy, contact CTET Unit. Candidates must bring admit card printout along with ID proof to centre on day of exam. Get here complete details of CTET Admit Card 2019 including date, download link, preparation tips and related information. Central Board of Secondary Education is conducting CTET July 2019 Paper I and Paper II in pen and paper based mode at 107 cities in India. Know important dates related to CTET 2019 Admit Card from following table. You can login from any device. If you face any trouble in downloading, check login details first. Use latest version of web browser to download admit card. Download here: Candidates can download CTET 2019 Admit Card as per schedule at ctet.nic.in. CBSE does not give an exact date on which it issues admit cards, before actually issuing it. CTET Admit Card is released on a date depending upon end of application form correction, and processing of data. Nevertheless we can take a look at the gap between exam date and admit card release date of past few times and estimate when the admit card could be released this time. Therefore, we can take the long range of 17 to 32 days. If the CTET Admit Card 2019 is issued 17 days before exam then it will come around 20 June 2019. On the other hand if it comes 32 days prior, then it can be downloaded around 5 June 2019 onwards. As soon as CBSE releases admit card of CTET July 2019, or tells anything about its date, it will be updated here. How To Download CTET 2019 Admit Card from ctet.nic.in? The steps to download CTET Admit Card from ctet.nic.in are simple. We explain them in steps below along with illustrations and video to make the process easier. If you still face any issue, please comment below. Step 1 – Remember that ctet.nic.in is the official website of CTET July 2019 exam. So first of all, go there. Step 2 – Now, on the official website, you will see a link for admit card download. You will see this link only if admit card download facility is active at that time. If it is there, click it. Step 3 (if applicable) – CBSE may activate multiple links of admit card download if there is heavy load on server. In that case you will see Server 1 and Server 2 links. You can chose any one. It does not make a difference. If the one you choose is not working, then just choose the other one. Step 4 (if applicable) – In the past, CBSE used to give only one option, that is to download using application number and password. But in 2018 it introduced another option, that was to download CTET Admit Card with application number and date of birth. Once again, you can opt for any one option depending upon what login credentials you have. Step 5 – Now you reach a login page. Here you have to enter your CTET 2019 Application Number and Password, or Date of Birth. 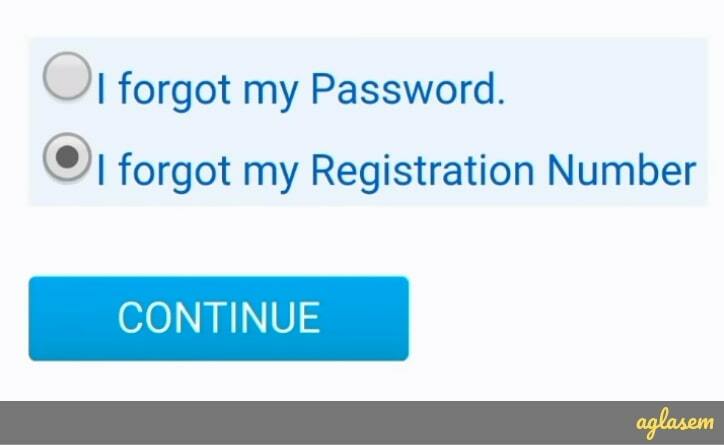 Please see the forgot application number, forgot password links if you have forgotten any data. Step 6 – As soon as you hit the submit button, your CTET 2019 admit card PDF gets downloaded. Go through all details in it. Then print it. Forgot Registration Number – How To Download CTET Admit Card 2019 Without It? As you can see in the above steps, registration number or application number is one of the most crucial things to download your CTET Admit Card. But what happens if you lose it? Don’t worry, there is a way out. In this case, you will be asked to enter your name, mother’s name, father’s name, date of birth, category, paper applied. 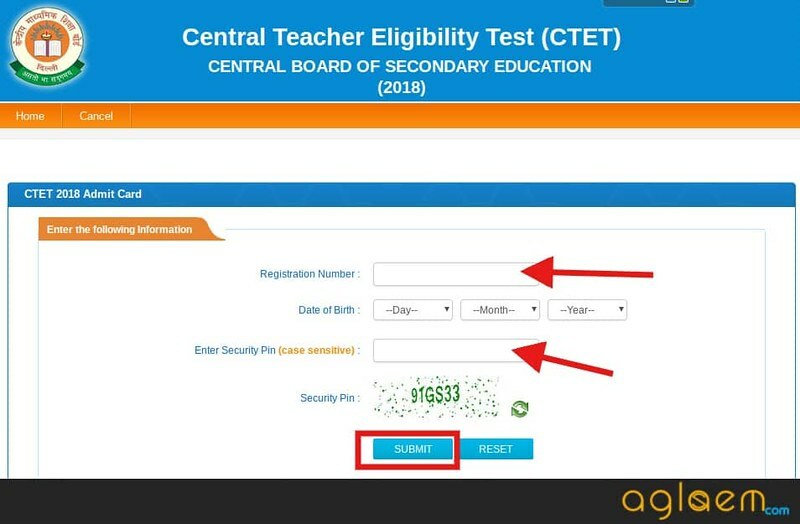 Then the database will check your registration and send or display your registration number of CTET 2019. Depending upon whichever option you want to go ahead with, reset your CTET 2019 Password. Is there any option to download CTET Admit Card 2019 by Name? 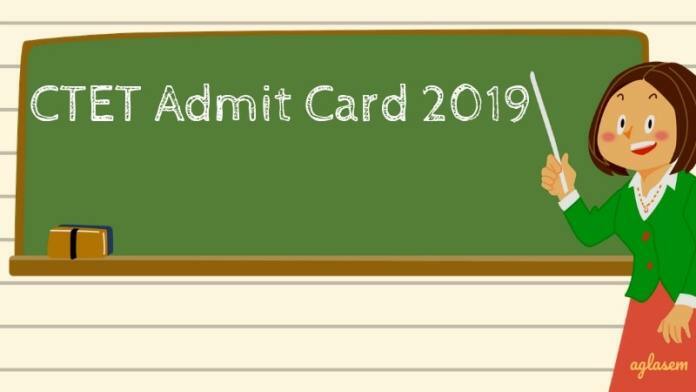 Unfortunately, no, there is no option to download admit card of CTET 2019 by your name. Your login credentials are your only means of downloading admit card. Please check the confirmation page you downloaded at time of form filling to get your registration number if you don’t want to go through any of the above technical methods. On the day of exam, you need to take the following things to exam hall. Important Note: The Candidates should bring their own Ball Point Pen (Black/Blue) of good quality as this time PEN will not be supplied by the Board. Which pen to take to exam? Please take that pen which you rely and are comfortable with. Every one has their own favorite ball pens. Some students prefer thick pens, some prefer slim pens. Some prefer pens with rubber grip, some don’t. So go ahead with a pen that you find easy to handle. Just buy a new one and test it once so that the refill does not dry out. Also carry one extra pen. Now that you have downloaded and printed your CTET 2019 Admit Card, you are all set for the exam day. Best wishes to you. Your CTET Admit Card 2019 shall contain following details. Please note and check them. In the event that signature and/or photograph is missing or not visible, then candidates are supposed to do as said in the admit card. Last time candidates had to send an email to CTET Unit with their signature and/or photograph. Candidates with missing / not visible photograph and signature are not allowed to sit in exam centre. CTET Unit should be contacted if there is any error in admit card. Do all rough work in test booklet. You should not do any rough work in answer sheet. You must do entry in exam hall sharply as per schedule. Central Teacher Eligibility Test (CTET) 2019 is the national level teacher eligibility test. It is conducted by CBSE. Those who qualify Paper I of CTET become qualified to teach classes I to V. And those who qualify Paper II become qualified to teach classes VI to VIII. CTET July 2019 will be held on July 7, 2019. Answer key of CTET 2019 is released after exam, followed by result and Certificate. Candidates need to score 60% (90 out of 150) in CTET Result to qualify CTET. Best of luck for your CTET 2019 exam. If you have any queries regarding CTET Admit Card 2019, please ask in comments below. BONUS: Tips and Tricks for CTET Preparation! Dear candidate, you have come this far in your CTET preparation. This is commendable. Now all you have to do is to march ahead with focus and determination and you will surely qualify the exam. You can get all previous year question papers of CTET for free at AglaSem only. Just download and solve them. By practicing these papers you will know the exact difficulty level of exam. We have also provided free mock tests for CTET. Attempt them to get a better idea of what sort of questions are asked and how to solve them. Sample papers also serve the same purpose of familiarizing you with exam pattern and level. Go to the exam centre with a cool mind. Read the question with a calm mind. Understand what has been asked in the question. Then read all the four options. Then select the right answer. Understand positive and negative questions. Any option in a question that promotes discrimination cannot be correct answer. Answer will be that which promotes equality, motivation, and learning. Keep time in mind. You need to mark answers in OMR sheet also. It is best to mark few answers together rather that first solving whole paper then marking in OMR sheet at end. Go ahead and crack the exam!